The most effective leaders are those who skillfully navigate their environment, and in the process, help define it. 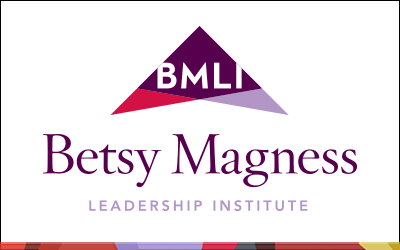 The Betsy Magness Leadership Institute (BMLI) is designed to elevate women leaders in the cable and telecommunications industry. Structured introspection, grappling with universal professional challenges and the opportunity to shift perspectives within an empowering learning community enables fellows to make the transition from effective managers to enduring leaders. By making genuine connections within their class, fellows emerge with a committed passion to share what they’ve learned with their teams, companies and the industry as a whole. Named in honor of one of the industry’s most successful leaders, BMLI maximizes participants’ ability to lead in the midst of change while strengthening their sponsoring company with an invaluable business commodity: leadership. To date, nearly 1,000 women have completed this nationally recognized program and continue to be actively engaged in transforming our industry. Today, BMLI is recognized as the flagship leadership development program of the cable and telecommunications industry. In 2014, the BMLI celebrated 20 years of preparing senior-level women to take on significant leadership responsibilities with an enhanced program. Please read the BMLI FAQs page for more details. Photo courtesy The Cable Center. Betsy Magness played an instrumental role in building TCI – which later became AT&T Broadband and Internet Services – into one of the most prominent and influential telecommunications companies in the industry. Born into poverty on a farm in Oklahoma, she managed to put herself through college at a time when few women pursued advanced degrees. Betsy and her husband, Bob, saw the potential the cable industry held and started their first efforts in 1956. She provided leadership and direction to their new business while raising two small children. By the late 1960s, their hard work was paying off, as systems operated by the Magnesses served 12,500 subscribers. 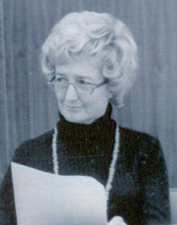 They formed TCI in 1968 in Denver, CO.
Tough minded but fair, Betsy earned the respect of her peers in the male-dominated cable industry. She combined business savvy with a generous heart, and placed great value on what she called a company’s greatest asset: its employees. Betsy passed away in 1985, but her legacy endures. WICT formed the Betsy Magness Leadership Institute in 1994, and today nearly 1,000 women have graduated from what has become one of the cable industry’s most prestigious professional development programs. Applications for the 2019/2020 program are now CLOSED.